Taken at Churaumi Aquarium in Okinawa. 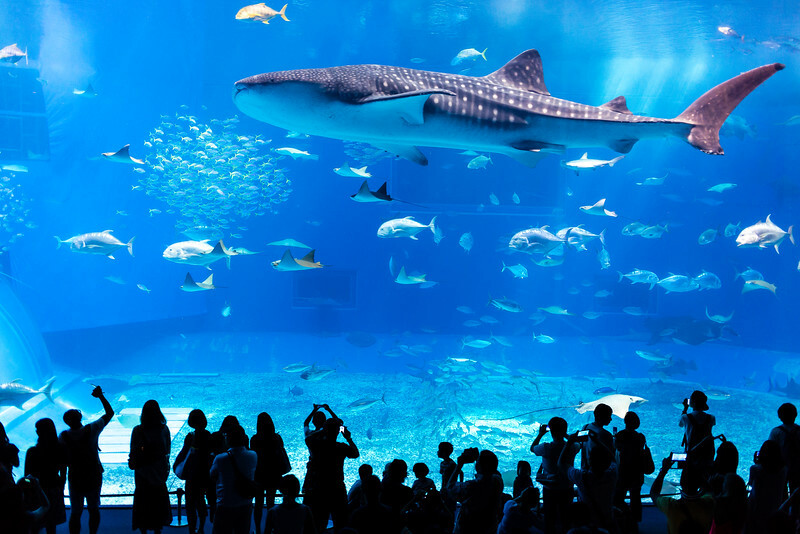 This massive aquarium is home to three whale sharks that are approximately 15-18 feet long and accompanied by many other schools of fish, stingrays and manta rays. They provide elevated seats in the far back of the room where people can gaze into amazement as these mystical creatures slowly pass by.